Citi-SMU Financial Literacy club is a student-led club born out of a collaboration between Citi Singapore and Singapore Management University with the support of Citi Foundation, with the aim of advocating financial literacy to young adults in Singapore. The club grooms students/aspiring changemakers from diverse backgrounds through an official train the trainers’ programme. This programme was designed to empower them with the soft skills and knowledge to become in-house trainers capable of promoting Financial Literacy. After students have gone through the programme and are certified as trainers, they subsequently serve as front-line advocates for financial literacy through events & interactions with beneficiaries. Why did we choose this company? The club has decent social media presence – 1193 “likes” on Facebook. The club has allowed us Administrative Access rights for its Facebook Page – we are able to track the progress of our campaigns. From what we have observed, its social media strategy is unrefined. This puts us in a position to provide a lot of value. The club has the financial backing – they have resources to allocate for marketing campaigns. Our team also strongly identifies with the cause of our client, and we are intrinsically motivated to assist the client to achieve its goals of utilizing social media to promote financial literacy. We are proposing 4 main messages to be delivered to these target audiences. Calling all Aspiring Changemakers interested in learning AND to give back to the community. Join us today! A call to action for aspiring changemakers to join us in making a difference. Interested in finding out more about financial management? Our platform is one tailored especially for young adults like you! We want to deliver relatable, localized, native content for young adults without labelling itself as “Finance”. Did you know that Credit card loans charge an average of 24% per annum? Stay financially savvy, read our handpicked tips! We want to deliver specific content in a suitable format i.e listicles to spark debate/ awareness for these issues. We want to encourage adults with expertise to share their knowledge through our platform and to give them the due recognition. For Citi-SMU Financial Literacy Club, we believe Facebook and LinkedIn would be the main platforms used for social media. With more than 1.7 billion users worldwide, Facebook is the world’s largest social network. Facebook is an appropriate social media platform for our client because of its young audience. It was reported that 82% of online young adults between the ages of 18 to 29 use Facebook (Facebook, 2016). On Facebook, businesses can create a business account and analyze and focus on their target audience. One service that Facebook provides to businesses is Target advertising. By utilizing this service, businesses can track their overall performance and analyze their audience’s personal information and interests. In addition, Facebook’s general features such as Messenger and Fan pages can create a channel where businesses and their audience can directly interact. LinkedIn is similar to Facebook in that it is a communication medium. As of 2016, there are 450 million active users (Statista, 2016). However, LinkedIn mainly focuses on networking business professionals. The majority of the users tend to be white-collar workers above 30, with educational backgrounds. Regardless of the size of business, LinkedIn provides tools to help businesses connect with their target audience and raise brand awareness. For example, businesses can create a Company page to market their products and services to their target audience. Businesses can also directly communicate with their audience by engaging in LinkedIn discussions. By joining group discussions, businesses can receive comments about their products and services. While Facebook is a platform for businesses to communicate with consumers, LinkedIn is a more business-oriented platform, where working professionals interact with each other. Therefore, we have concluded that Citi-SMU Financial Literacy Club could use Facebook as a means to engage with SMU students, young adults, and the general public. LinkedIn, on the other hand, could be used to network with alumni and finance professionals. Strong presence on both platforms would enable our client to expand and fulfill its goals to raise brand awareness, enhance engagement with its audience, and measure the extent of content retention through social media. Although it is still in the exploratory stage, our group is planning to conduct further research into native marketing, and perhaps tap into the possibilities of additional platforms such as SGAG, Twitter, Instagram for Business, and Youtube Channels. Moving forward, we have secured our client’s buy-in – they have graciously allowed us to test our “prototypes” subject to their approvals. We are also currently toying with the thought of using humor for indirect/native and pairing it with Financial literacy – in the form of listicles and memes. Hopscotch by Mixes from Mars is a craft cocktail bar tucked within the clandestine courtyard of former traffic police headquarters, Red Dot Traffic. Started in September 2014, Hopscotch has gone on to become one of Singapore’s more notable craft cocktail bars, with features in publications such as Travel and Leisure Magazine Southeast Asia. Drawing inspiration from the game, Hopscotch also has a games corner, which features retro games which locals once enjoyed as kids. Some of them include “Jenga”, “Crocodile Dentist” and “Snap”, favourites of patrons looking to have some friendly competition with friends. The bar also features a classic dart board, and a foosball table, which have proven popular with patrons. A bar is intended as a place to feel comfortable and relaxed, and Hospcotch seeks to do just that through cocktails, the nostalgic games area, stir-fried wok food as well as friendly and outgoing staff. Despite Hopscotch’s poor visibility from a crowd, and it’s rather speakeasy nature, the bar has been rather successful in drawing a good number of regulars. Usually, the venue is packed on Fridays, Hopscotch, however, faces an issue with drawing a decent crowd on any other day (even Saturdays). Some of this is attributed to the rather obscure location in the heart of the Central Business District, and the lack of a working crowd on Saturdays. Most competitors have larger social media presence in general and greater engagement. Hopscotch’s current customer demographic is formed mostly of young working professionals between 26 and 40 years old, and have a good mix of both males and females. A sizeable portion of these patrons come from the people working nearby in the CBD area. However, statistics on the bar’s social media page reveals that more than 80% of fans and users engaging its social media platform are from the 18-34 year old age category. This reveals a mismatch between the current crop of customers and the demographic that Hopscotch appeals to. Consequently, this also presents an opportunity to tap on a currently unexplored demographic of late teens and young adults. Therefore, an ideal Hopscotch customer is an individual aged between 20-40 years old, one who is looking for a unique drinking experience and a no-frills environment to enjoy the company of friends. Hopscotch markets a lot through word of mouth, stemming from the initial networks of the co-owners, and stretching on to include the networks of regular patrons. Hopscotch also relied upon the strong press coverage on media channels such as “The Straits Times”, “Honey Combers”, and “City Nomads” for their initial crowd. The flow of articles however, have slowed down significantly. And also due to the influx of many newer bars, the word of mouth marketing process however, has been rather slow. People seem to forget that Hopscotch is present. On social media front, all of Hopscotch’s platforms are personally managed by the owners and only through Facebook and Instagram. Content includes posts about the staff, drinks, games, promotions,and upcoming events and happenings. The owners currently do not use the Facebook boosting function due to cost. Most FNB outlets tend to have a social media page. Although less measurable in terms of ROI, many adopters find social media to be rather useful in improving business sales in the long run. The 2013 Green Hasson Janks Food & Beverage Industry Survey reveals that more than three-quarters (78.9 percent) of executives report that social media is having a significant impact on their businesses. What sets social media apart from a standard company web site is the two-directional content. More specifically, a company needs to be ready for customers adding their own comments and content. Connect with new potential customers, either through a fan’s networks, or a more cold but targeted network. Connect with existing customers and fans to induce a larger Long Term Value(LTV) of each customer, by being reminded that the outlet exists, or that the outlet currently has some specials, going on. The social media channel is also used as an avenue for customers to view products and services, as well as to enquire about information such as operational hours, concept, contact number, and to make reservations. It basically creates a medium for the customer to connect with the business, and vice versa. As a business targeted at the millennial segment of the market, a group of individuals heavily in-tuned with social media, it is by far the most effective means of reaching out to these individuals. With the market currently occupied by many more established names and many other up-and-comers, the tendency to just fade into the masses becomes a pressing problem. Social media will allow Hopscotch to create its own distinct identity of a localised speciality cocktail bar and reach out to potential paying customers through visual content, campaigns and initiatives. Additionally, in such a competitive market, the power of peer reviews cannot be understated. A Paper Review of Credibility of Media Sources found that for mid to high interest group individuals, as our ideal customer would fall under, peer sources are considered more reliable and effective in creating buyer intent. With every Facebook user a potential peer contributor, the peer source review of Hopscotch can go a long way in creating a reputation for the business, as well as a community of followers. It has a strong organic fan-base and engagement, with an average of 30-50 likes per post per 1000 followers. However, it’s reach is still limited because of the lack of volume of people engaged online. It’s current strategy of word of mouth recommendation online (friends, friends of friends liking the page) has been effective in getting an average of 2-4 new likes a day. However, barring a spontaneous viral campaign, this rate of growth is still unsatisfactory for the business to establish its name as a top bar contender. Possible avenue would be to look to paid ads to reach out to potential clients and create a greater social media presence. Visual content generated by the bar is visually dull and lacklustre. Doesn’t catch the eye of users at first glance. Missing out a tremendous opportunity to captivate intended audience, resulting in current audience drop off and failure to capture new audiences. Visual content necessary for self-promotion to new customers and maintenance of current customer interest. Current posts and contents feels robotic. Compared to other bars and FNB outlets, that possess a strong social media following, Hopscotch’s Facebook posts lack variety for its respective audiences. Content like photos of drinks appear too frequently. Users don’t feel compelled to engage these posts as they are too similar and repetitive. Look to alternate posts between the business, information about bar-related articles and personal posts of employees and customers can make the social media page more engaging and diverse. Social media platforms currently functions as a tool for Hopscotch to provide insights into the bar. Lacking in calls to action for users to actively engage business online. Promotions and Giveaways are ways to allow customers to actively engage the business and create possible sales conversions in the process. Frequency of post is currently once/twice a week. Lack of constant content creates a void for current users and missed opportunities to engage new audiences. Most B2C businesses currently post minimally 2-3 post per day just to maintain some sort of social media presence. Needs to maintain pace with the competition minimally in order to prevent being forgotten. Posts are currently made at odd hours like 11pm where there is little or no traffic online. Tools like social bakers can be used to track peak traffic periods to manage post timing to maximize customer impressions and potentially engagement. As a bar, the most relevant time to post “alcohol” related post before happy hour (6-7pm) to draw customers in, or late afternoon, possibly after a hangover. Efforts on social media has been hindered by owners inability to manage both operations, traditional marketing and social media marketing. (Lack of manpower). Need for a scheduling tool, transfer of emphasis from traditional marketing to social media marketing due to demographic, and investment into a social media publicist to manage the curation and dissemination of content. 1. Research on what content type and social media will best cater to the social media users of Hopscotch Bar. Surveys handed out to customers in the bar as well as a sample poll amongst a group of potential customers will be conducted. Review of user engagement statistics on each individual platform will be monitored for the next month. To create a content schedule which includes sample content for up to 3 months, including pictures, best days and times to post and boost, as well as a distribution of content types. Introduction of content scheduling tools such as Postcron to effectively and efficiently create and manage content. To engage nightlife/F&B bloggers to feature Hopscotch on their social media platforms to boost publicity. Come up with a feedback platform for customers to give their feedback on what they would like to see. The Singapore Flyer was opened in 2008, proudly stands asn iconic attraction of Singapore due to the fact that it is the largest Giant Observation Wheel in Asia, standing at 165m tall. It was previously owned by Singapore Flyer Pte Ltd, till 2013 when it was placed under receivership, and later bought over by Straco Corporation Ltd. Despite being hailed as an icon of Singapore, the Singapore Flyer ironically underwent bankruptcy which caused it to go under receivership in 2013 . This let-down from their initial grand ambitions can be largely attributed to poor visitor numbers, which is a major source of revenue for the observation wheel. At core, the main challenge for the Singapore Flyer lies in the need to create and sustain its novelty factor, as its main selling point of experiencing a 360 degree view of Singapore can be entirely encaptured in a single visit. Till date, the company has not been able to successfully create a vibrant brand identity shrouding the attraction, as represented by poor visitation numbers (Koh, 2014). Hence, the marketing message of our social media strategies will be focused on generating hype and sustaining the sense of novelty amongst our target market mentioned in (2). The dismal profit revenue experienced by the Singapore Flyer is inherently caused by the poor visitor rate suffered. Thus, our project goal is to re-build the flyer’s identity from “boring” and “expensive”, to an experience that provides more than just a plain 360 degree view of the Singapore skyline, and is worth re-visiting for the pleasant experience. With this repositioning, we hope to drive up visitor rate and increase return visits. As of current, the target segment of the Singapore Flyer is working parents. However, given the poor response from this current target segment, we believe that the Singapore Flyer should expand its target market to include the Millennials. This particular segment are heavily involved in social media, regularly use social media as a channel to get updated on current trends and news (Pick, 2016) and are also the largest consumer generation. (Solomon, 2014) Moreover, instead of broadly targeting working parents, the organization should narrow down and focus on the target segment of Mothers instead. As reported by Mintel in 2015, 84% of Mothers are key decision makers in the family unit over purchasing decisions. Therefore, our target audience would be millennials and mothers. After reviewing their current social media presence in terms of types of platforms, followership, posting patterns, engagement and outreach, we decided to focus on Instagram and Facebook. This is based on the fact that the Singapore Flyer prides themselves in the extravagant views they offer in their capsules, we feel that they should strengthen their social media presence via a more visual appeal. Therefore, we propose Instagram , which is in essence a photo-sharing platform, the most appropriate media platform for them. Daily competitions through the trend of ‘Picture Of the Day’, could be used to engage and interact with the millennials. Through the creation of more valuable content on its Instagram page, not only will this strategy generate a sense of community amongst the target segment of the millennials, it will also increase engagement, build more awareness and enhance the novelty factor of the attraction. This is modelled after the successful marketing strategy of user-generated posts by GoPro, and the present trend of #exploresingapore on Instagram, which encourages users to hashtag or tag pictures containing views of Singapore. The acceptance and embracement of this trend by Singaporeans is reflected by the high following of 81.9k on the Instagram page, ‘Explore Singapore’. Hence, the focus will be oriented towards stories and experiences shared by families. Furthermore, since Facebook allows for two-way communication, it could be used to allow Mothers to also suggest and vote for events hosted at the Singapore Flyer they would like to have and attend with their families. This would not only build a warm and engaged community of Mothers online, but will help the Flyer create a, through the posting and sharing of testimonials of satisfied families, and online family bundle giveaways. more vibrant eco-system and expand on its identity as just an observation wheel. It is important to note that despite a relatively high following of 472,258 users on their Facebook page, as of present, there is low engagement on the platform, as reflected by the poor rate of likes and comments that each posts generates on average. This illustrates that their current Facebook strategy lacks engagement with followers and vibrancy. Ultimately, the strategic use of social media platforms of Instagram and Facebook is aimed to increase the social awareness and community engagement amongst the target market of Mothers and millennials. Essentially, the effectiveness of these strategies are based on its ability to generate greater awareness of the enthrallment of the flyer as an attraction of Singapore. In USS, visitors are able to experience cutting-edge rides, attractions and shows based on their favourite blockbuster films and television series. One of its star attraction would have to be Battlestar Galactica which is the world’s tallest duelling roller-coaster. Apart from that, USS also host special annual events such as “Halloween Horror Nights”. In 2016, the theme park was most recognised by TripAdvisor’s Travellers’ Choice Award as the top amusement park attraction in Asia for the third year in a row, leaving Hong Kong Disneyland and Ocean Park ranked as the second and third respectively. Why did we select USS? Despite that, Resorts World Sentosa is not doing well as a whole. For the entire financial year of 2015, Genting Singapore’s net profit slumped 85% and its annual revenue fell 16% year-on-year. This is mainly due to the weak performance in its gaming business (casino) with its revenue falling at 38% from the 2nd quarter of 2014 to 2nd quarter of 2015. Growth in non-gaming revenues seem to have increased and help offset some of the declines in the gaming side of the business but it is clearly not enough. The number of USS visitors have increased through the quarters but visitor’s spending has decreased. Business problem faced by RWS – Gaming revenues are down. Solution – Boost profits in non-gaming sectors and thus, USS is the centrepiece of their strategy. Hence, our main project goal is to increase profits of USS. This can be done via 2 ways which is to increase visitors to USS and to increase visitor’s spending in USS. Based on our observations regarding USS social media presence, we believe that USS have not utilise social media to increase its brand awareness as well as increase its competitive edge against other place of attractions. Universal Studios Singapore currently does not have its own official website and social media page such as Facebook and Instagram. It is featured in ‘Resorts World Sentosa’ official website together with other RWS attractions, hotels and spas and casino. Information found in the website mainly focuses on the rides and shows in USS. However, there is a lack of information regarding other aspects of USS such as the restaurants and gift shops there. For Facebook, Universal Studios Singapore has an unofficial page with about 97,000 Likes as well as customer feedback/reviews and tagged photos. This suggests that social media users would engage quite substantially with an official page if it were to be created. As compared to its regional competitor, Hong Kong Disneyland, the number of likes for HK Disneyland official facebook page is way higher which is about 10 times more. Overall, one of USS’s weakness is its inactive and weak social networking and online presence. There is also a lack of exposure in advertising media. We would also incorporate ‘’Universal Studios Singapore is Asia’s best theme park.” as stated by TripAdvisor in our strategy. This in turn, will create awareness of the recognition held by USS in which many people are unaware of. In addition, we would also share more on what is available in USS apart from its rides and shows. As the broader mass market consumer base of USS is nearing saturation, this proposal will focuses on tourists. Through a survey, we aim to discover psychological determinants in regards to theme park, what do they spent on in theme parks other than the rides as well as their media consumption activities. Our group will be using a mixed approach in which to allow USS to expand presence and engagement on current platforms such as Facebook, Instagram, TripAdvisor etc. We would also explore new venues of localised and popular social media outlets such as Weibo, WeChat, etc. Connecting with users around the region via these previously untapped platforms can connect USS with new consumer bases. In conclusion, we hope to come out with strategies to bring Universal Studios Singapore to the forefront of tourists’ minds when visiting Singapore, and to expand its regional brand image awareness. Launched in March 1959 by Mattel, Inc., Barbie has sold over a billion dolls and is Mattel’s second largest brand after Fisher-Price. In 2015, sales figures reached an all-time low since 1993, and Barbie‘s attempts to reinvigorate the brand with new initiatives have only resulted in a 23% rise in the second quarter of 2016 – significant, but insufficient to restore Barbie back to its place as an industry giant. Research shows that smart devices are becoming more popular with American children aged 12 and below and are increasingly being used to substitute physical toys. As a result, Barbie is becoming less relevant to their target consumers. encourage organic discourse about the change in their brand image. How are they currently meeting these needs? Barbie has been focusing on breaking stereotypes – more specifically, they are advocating diversity and female empowerment, both of which are prominent current social issues. By doing so, they hope to shake free the controversies that have been dogging at their heels. Barbie’s New Makeover – a product modification; doll body templates now reflect female shapes of all colours and sizes so as to promote inclusivity and body positivity. ‘You Can Be Anything’ – a viral marketing campaign showing girls that they can take on any career path of their choice. Failed to leverage on campaign success to promote product. Breaking free from negative stereotypes about Barbie. Success is potentially short-term, still does not address their root problem. Research shows that American children below 12 years of age are increasingly preferring smart devices over physical toys as their mode of play. 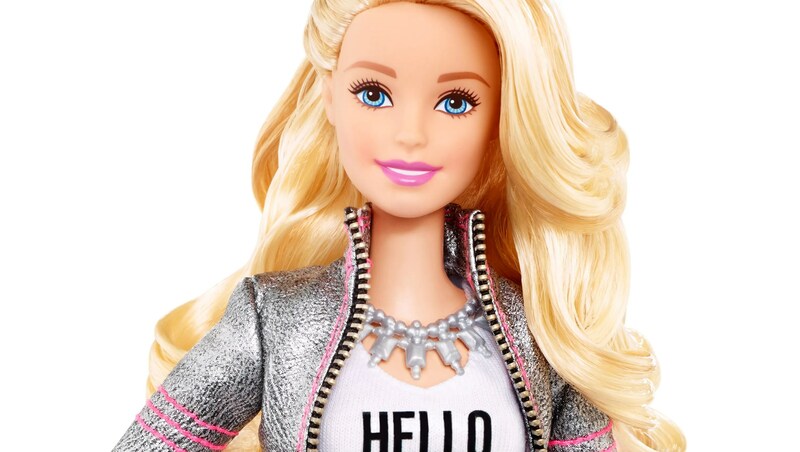 As a result, Barbie has tried to connect with consumers on social and digital media platforms, but these attempts have met with limited success and have room for improvement. Dreamtopia – a movie about the endless possibilities inherent in a make-believe fantasy world that led to a spin-off web series with a matching product line. Life in the Dreamhouse – a web series stylized as a mock reality show available on YouTube, Netflix, and various other streaming media sites. Problem recognition: change in consumer behaviour moving from traditional media consumption to social media consumption. Attempt to achieve fandomization met with limited success. Attempt to leverage on general popularity of digital media. Spin-off game applications are simplistic and lack goal-setting achievements. How can Barbie utilize social and digital media to engage and build relationships with parents such that Barbie products become more relevant to their children? To build a relationship between Barbie and young American parents aged 25 to 34 (B2C – between Barbie and their primary audience), thereby increasing relevancy of Barbie’s products to young American girls aged 3 to 11 (C2C – between their primary and secondary audience). Our message? That physical toys and virtual games do not have to be mutually exclusive – both serve to enhance the entertainment experience for adults and children alike and provide increased opportunities for parent-child interaction. We plan on creating a game application on the iOS and Android platforms that will adopt an adventure-style storytelling with achievable goals that would allow consumers to feel more emotionally involved in the game and its characters, and thereby, drive brand loyalty and sales figures. To promote this, we will use Snapchat and the tried-and-true channels of Facebook and YouTube to reach out to both new and current consumers alike. Why Snapchat? Because our primary target user demographic is Snapchat’s fastest growing segment and we can capitalize on that. Snapchat is also one of the few major social media platforms that Barbie has yet to use in their marketing efforts. Aim: Expose consumers to the Barbie brand and the new adventure-based Barbie game, allow them to find out more about what the game is about, and make the consumer download decision-making process simpler and thereby, more attractive. Aim: Tie digital engagement to physical sales by creating a new game-related doll line and including QR codes in each product package that will unlock new in-game content and items. Aim: As Barbie’s official Facebook page and YouTube channel have the highest following among their social media accounts, we want to utilize these platforms to reach out to their current consumers. Barbie’s low product sales as a result of the rising popularity of virtual games on smart devices is not a sign that the company is getting too old to remain an industry giant in doll-making. Rather, it is a sign that Barbie should capitalize on this trend in order to bolster their product sales. To do so, we will be looking at Barbie’s current social media efforts so as to emulate the best parts, improve on the worst parts, and focus their social media efforts to obtain maximum results and sufficiently improved product sales. The organization our group has chosen to conduct our project on is Sentosa Development Corporation (SDC). Specifically, we will be assessing their most recent marketing campaign ‘The State of Fun’ by comparing their stated goals and actual results. To provide some context, the SDC was established in 1972 and is tasked mainly with overseeing the development, management and promotion of Sentosa island – one of Singapore’s key leisure destinations. Before ‘The State of Fun’ was launched, SDC’s marketing campaign was centered around the slogan ‘Asia’s Favourite Playground’ which ran from 2008 to 2013. While the campaign had successfully attracted more visitors under this banner, the SDC management was also looking for ways to further grow local attendance. Thus, the challenge under the current ‘State of Fun’ campaign launched in 2014 is three-fold: To increase the proportion of local visitors while remaining attractive to key foreign markets such as mainland China, and involving as many island operators as possible. As the campaign is about to end its run in 2017, our group thought that it is a good opportunity to assess if the campaign has achieved its stated goals. We want to find out if the campaign has achieved its intended outcome via the employment of social media platforms. As it turns out, our preliminary analysis of visitor numbers shows that the proportion of local visitors as well as the total number of visitors have remained the same. Through our project, we seek to find out if SDC should tweak its social media strategy to achieve campaign goals, or to adopt a whole new campaign to better appeal to its target audience. Our group intends to adopt a four-pronged approach in order to provide a robust analysis of SDC’s current social media strategy. The first approach entails the use of viewership metrics – as provided by Socialbakers – to analyze trends in community growth, page posts and interactions. Thereafter, we will use demographic surveys to obtain the general sentiment of the public. This will be supported by qualitative interviews to discuss the reasons behind these sentiments and investigate the existence of any discrepancy against SDC’s intended vision and why. Finally, we aim to conduct content analysis to determine the attitudes of SDC’s stakeholders. Our team has decided to work on Browhaus Singapore for our social media analysis project. Browhaus is a one-stop eyebrow and eyelash grooming salon chain. Since its first store opening in Singapore in 2004 by the Spa Esprit Group, it has now expanded its presence to over 40 outlets in 10 cities worldwide. The salon specialises in brow grooming services, beauty treatments and also develops and sells their own range of beauty products. Being the first concept store in Singapore to specialize in Brow and Lash grooming, Browhaus advocates fast, easy and convenient services for its consumers, hence targeting the image conscious urbanites. Moreover, it inculcates an all inclusive culture, reaching out to both genders. Browhaus faces stiff direct competition from beauty brands Benefit and Shu Uemura. Even though they are largely cosmetics brands, they provide services such as Brow Waxing and 3D Brow Styling and have stronger social media reach as compared to Browhaus. We have identified Benefit and Shu Uemura as our direct competitors as they focus heavily on brow and eye makeup and like Browhaus, they have similar pricing strategies for their brow shaping services. In addition, there are also numerous low cost alternatives such as Rupini’s and Milly’s that provide similar services at a fraction of the price. Although they provide less specialised services, these small-scaled salons would still pose a significant threat to Browhaus as they capture the market share of price sensitive consumers. We chose Browhaus as our project topic because for an international beauty brand, their brand social media reach is unsatisfactory and below Singapore industry standards. When compared to its competitors, we found that Browhaus’ social media platforms (mainly, Instagram and Facebook) lack engagement and reach. Moreover, its content lack consistency, relevance and fails to generate consumer interest. In addition, Browhaus’ target audience are in line with avid users of social media. Hence, incorporating social media strategies is an effective way to fully tap into this emerging trend and maximizing engagement and reach. Browhaus is currently active on the following social media platforms – Twitter (598 Followers), Facebook (11K Likers) and Instagram (3.6K followers), and has an website that is updated regularly. However, it still has a relatively small following on its social media networks, indicating a potential area for improvement through the implementation of new social media engagement activities. Companies will usually dedicate posts to major current affairs matters and Joseph School winning an Olympic gold medal was definitely a highlight. In congratulating him for the win, we can see the different approaches that Benefit and Browhaus took. The purpose of this research is to firstly understand the social media behaviours of Browhaus’ Singapore consumers and to study the variety of platforms Browhaus is currently engaged in. How can Browhaus leverage on social media to effectively communicate its competitive advantage and differentiate itself from its competitors? What strategies can Browhaus adopt to create lasting impressions among target segment and achieve a “Browhaus community”? Firstly, we will gather primary data by conducting observational field studies through surveys within close proximity to the stores to understand the consumer demographics. Furthermore, online surveys to uncover their perceptions of Browhaus, their consumption patterns, as well as their social media habits and behaviors, will be created and sent to the target audience. In addition, we will conduct focus group sessions session to gain a deeper and more comprehensive understanding of consumers’ sentiments. Collecting such data will affirm the brand’s target audience demographics, understand their social media habits, and hence allow us to effectively reach them through our strategies. Next, we will conduct secondary research through social media data analytics on Browhaus’ and their competitors’ social media strategies (their use of influencers, campaigns etc.). Finally, we will analyse research articles and look at past examples of relevant real-life campaigns to create attractive social media strategies for the brand. In conclusion, we hope that through these recommended strategies, Browhaus would be able to achieve a prominent brand recognition and value in the social media sphere. The company was set up in 2013 and has since expanded to 5 locations mainly around Central Singapore. They currently have 28 instructors who hold classes from Monday to Sunday. Currently the business is facing problems due to competition from rivalling yoga studios such as Pure Yoga and True Yoga. Another pressing issue is the arrival of spin cycle in Singapore, a fitness alternative that has caught the eye of many trendy fitness fans lately. Yoga Movement has thus seen a shrinking membership base with slowing membership uptake and lower attendance. So far, their current attempts to engage with members have not been entirely successful. However, as an established yoga studio and the growing popularity with the healthy living culture, we believe this is a problem that can be resolved with better branding and consumer engagement over social media. We are especially interested in Yoga Movement as they have been promoting the idea of a healthy lifestyle through yoga (The YM Life). However, promotion of this idea has been sparse and the spread of this movement has been weak. Through social media, we intend to increase awareness of the yoga lifestyle through social media and promote this to current and potential members. We intend to take advantage of this as a stepping stone to differentiate Yoga Movement from other yoga studios. We see these as stepping stones to accomplishing the ultimate goal of retaining and expanding the Yoga Movement membership base. This demographic makes up a significant portion of the Singaporean yogi community. By targeting this demographic, we hope to allow Yoga Movement to connect more with the bulk of its existing clientele and ultimately improve membership uptake and retention. Businesses are increasingly looking to improve their company culture through bonding activities – especially for organisations in high-stress industries like banking and law. To create a more cohesive, relaxed company culture, corporations are turning to yoga for their employees due to its meditative and social nature. Tapping into this customer base could allow Yoga Movement to work closely with large corporations and become one of the leading options for corporate-targeted yoga, ultimately increasing membership intake. Our method has been simplified into three steps to achieve the goal of retaining and expanding the membership base through promoting the yoga lifestyle. We intend to firstly develop lifestyle marketing collaterals, this is because we understand that people don’t really understand what the yoga lifestyle embraces and how it can improve almost every facet of your life. We will then promote this on the Yoga Movement social media pages, and expand this to more social media platforms such as YouTube (that Yoga Movement does not currently have). This will help us retain out new members through allowing them to access our lifestyle messages while outside of class and pick up on new ideas and inspiration that can influence their life outside of the yoga studio. In this way, we hope to influence members to adopt the Yoga Movement way of life and subscribe to our lifestyle through yoga. Our final step is aimed at generating a larger membership base. We intend to target corporate firms. Yoga has been proven to relieve stress and increase focus, thus, we see that it would be appropriate in the context of the workplace. We see that promotion of the Yoga Movement life can be done over corporate social media websites such as LinkedIn, where we can connect with the relevant parties and promote corporate packages. We want the world to know that yoga is for everyone! Regardless of shape, size, background or anything. The yoga lifestyle is wholesome, inclusive and for everyone! We also want to spread the word that the Yoga Movement lifestyle can permeate almost every facet of your life and affect your outlook on life and lifestyle choices in a positive way. Increasing awareness of the yoga lifestyle requires content that is easily shareable and wellness-related. We feel that the creation of a YouTube channel to produce shareable video content that elucidates potential customers on the yoga lifestyle could be greatly beneficial to the company. The bulk of content on social media networks like Facebook come in the form of video, hence by using YouTube videos to reach out to consumers, Yoga Movement will be able to achieve a dual-effect of increasing awareness on the yoga lifestyle and expanding online reach. Yoga Movement currently does not have its own dedicated LinkedIn page. To connect with businesses and organisations to offer corporate-targeted yoga, a LinkedIn page would be the best social media tool due to the network’s distinctly corporate and professional slant. In addition to connecting with Target Audience #2 as outlined above, the LinkedIn page will also shape Yoga Movement as a more professional and credible brand. A large number of organisations like Buzzfeed and Cosmopolitan are turning to Snapchat to expand their consumer reach. Snapchat is one of the most popular social media networks amongst the younger generation, especially for those in their teens to late twenties. This is a bandwagon Yoga Movement should ideally jump on, as Snapchat allows for bite-sized, up-to-date content to be disseminated to users. The expirable nature of Snapchat content translates to an organic, slice-of-life and intimate connection with consumers, as Yoga Movement could send ‘snaps’ of ongoing yoga classes and feature yoga teachers. Right now, we don’t really have all the information we need. We intend to gather all the information we can relating to this issue through several means. Our primary research will consist of several means. We will begin with an analysis of social analytic tools like social bakers to assess the effectiveness of their current social media marketing collaterals. We will also organize a focus group for our first target audience (current practitioners of social media), this group can be approached on the Yoga Movement Facebook page. The focus group is aimed at getting a general idea of Yoga Movement’s branding and the effectiveness of their current strategies. We will also organize a focus group for the target audience who are not yet practitioners, we hope to get references from current members, but we will also approach them at areas like the CBD. This focus group is aimed at finding out what this group expects from a healthy lifestyle, and to gauge their attitude towards yoga. Our secondary research will revolve around analysis of online articles and published journals. These will be used to back up our primary research and will also be used to generate a qualitative conclusion to our research. We will assess the effectiveness of our campaign in term of quality and quantity. Yoga Movement currently has a comfortably wide online reach on its two existing social media platforms – Facebook and Instagram. However, this online presence is not without its shortcomings when it comes to building an organic online community and breaking into unchartered demographics as it falls short in brand exposure. Our group feels that through a multi-pronged approach on various casual and corporate social media networks as expounded on above, Yoga Movement will be able to improve its online presence and membership intake and retention to create a tight-knit, organic community of Yoga Movement fans. Lux is a global luxury beauty soap brand developed by Unilever. They offer a range of personal care products including beauty soaps, shampoos, conditioners and shower gels. Since 1925, Lux has been bringing the best of beauty to women. These products are known as the beauty secret of some of the most glamorous stars – from Elizabeth Taylor, Audrey Hepburn, and Marilyn Monroe, to Ashwarya Rai, Katrina Kaif and Shu Qi. Lux believes that beauty does not have to be about hard work, but rather, about pleasure. They aim to provide an exceptional experience in and out of the shower with their unique products, infused with fine fragrances, and crafted by the world’s best perfume experts. Lux does everything to make customers feel good, look good and exceed customer expectations. Lux’s key markets currently are Indonesia, Brazil, China, India and the USA. Why did we choose Lux? Lux has been a leading and renowned beauty brand since its beginning. Pioneers in beauty and soap – they have had a strong market share from the very start. However, with the rapidly changing business landscape as well as the fast evolving demographics, there is no guarantee that they will continue to be just as successful in the future. The economy today has reformed such that e-commerce has emerged as the most influential sales platform. With countless brands and products from all over the world competing with one another, consumers are spoilt for choice. In addition, social media plays an important role as an influencer of these choices. Yet, Lux has been inactive on social media and has very little engagement with customers. This is especially true when compared to competitors such as Dove, which regularly uses effective and engaging social media strategies to keep their customers loyal and involved. Another, much more important, reason we’ve chosen Lux is because we feel that the brand has become very outdated. With all their marketing and advertising money being spent on showing flawlessly beautiful women using Lux – our group feels that they are completely missing the mark on what is actually relevant and important to their target market. Women nowadays care much less about being flawless and beautiful, and much more about embracing their imperfections, and being bold, strong and beautiful. They do not believe that good looks are the only thing to women – because they, as women, are accomplishing so much more. Thus, how can they relate to a brand that doesn’t even understand them? This is very evident in the US market – where Lux has been continually losing market share for the past several years. Thus, while Lux may be doing fairly well in the developing markets for now, we feel that as the women in these markets evolve and grow – as they become more and more empowered like in the US – the less they will connect with and buy Lux products. Hence, it is essential for Lux to rebrand their image now in order to keep up with the modern age, and to ensure future success. That is why we’ve chosen Lux – to help them to rebrand their image using effective, useful, and engaging social media strategies across various platforms. Lux has a very limited social media presence, they have over 6 million followers on Facebook, however they have been inactive on that platform for over a year. In comparison, their competitor Dove posts on their Facebook page regularly, and it has over 27 million likes. Lux also has a YouTube account with over 6800 subscribers. It used to be an active platform in 2015, although they have not uploaded a video in over 6 months. Their most viewed video has over 1.3 million views, but most average around 1000 views. Their videos are very global, in different languages and different locations. Lux focuses exclusively on women, and with our target to rebrand their image, the target audience will be a younger group of women – millennial women between 18-34 years of age – because these women are the future change makers in all the key markets. We will conduct focus groups and surveys of women within this age bracket to evaluate and analyse suggested social media re-branding options for the company. We will also utilise social analytical tools, such as Socialbakers, in order to see how people are currently responding to the brand and how they are interacting with it online. Feasible media platforms will be those that are best to convey our messages to our target audience, meaning that the platforms most used and interacted with by 18-34 year old women will be sufficient. These will primarily include: Instagram, YouTube, Twitter and Facebook, as studies have shown that in the US, these platforms are primarily used by women. Effectiveness will come through user numbers and interaction – Facebook analytics from our target audience. For example, how many women talk about this subject on a daily basis. We will also compare the statistics for those women in a developing country versus those in a developed country, as the use of platforms may differ. With the suggested social media strategies from our presentation and report, Lux can expect to cement their position in the luxury beauty soap market for a long time to come.